There are some things here that you can’t really learn any other way apart from getting them wrong. Getting them wrong and spending enough time with people so that they feel comfortable to tell you that you’ve got it wrong. You can try as hard as you want to “copy” what people are doing or just come out and ask them what you should do but if you don’t know the right questions to ask, you’ll never find out what you really need to know. I’ve been doing some research with some women out in the village recently, asking them all about what it is to be a good mother, a good wife and a good woman in general – it was fascinating. I went out with Sally and we stayed overnight with a lady I know quite well. I spent quite a while interviewing some of the older women about all sorts of things but their favourite topic by far was what women should wear. Most of them cannot understand how there can be so many clothes available these days but people just can’t manage to cover themselves up. 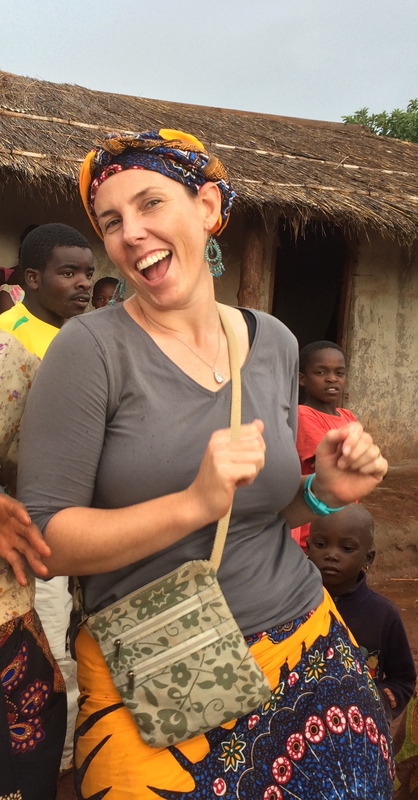 On a different day at a party in the village – Yes I am a dork and no I cannot dance! I decided that before I went out to the village, I would take off all my jewellery. I don’t wear heaps of it – a necklace, earrings, wedding & engagement ring and a watch. I was also wearing an anklet that I made out of cotton but I had forgotten that was even there so I set off with (so I thought) only my wedding ring on. I was thinking that it might be good to try and “fit in” a little more, particularly as I wanted to spend time talking to the older women. It turns out – I should have stuck with (at the very least) my necklace. We were sitting around on the verandah one afternoon when some of the women asked me why I wasn’t wearing a necklace and suggested that I should go to the market and buy myself one otherwise people will think I’m a man. 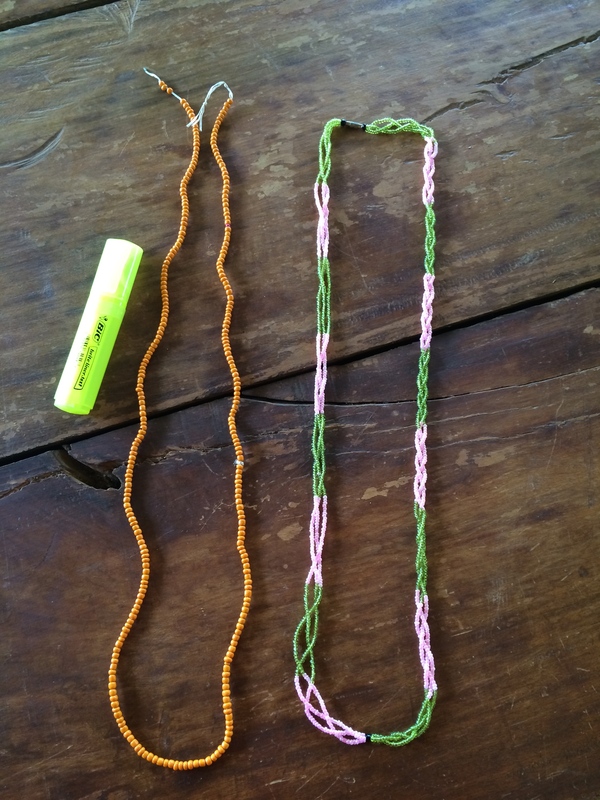 Apparently back in the day all the women wore them along with a chuma/massinga, a beaded band around their waist (see pic below) so that everybody knew they were a woman. My friend then told me a story of how she and a friend were visiting a town by the lake and went to bathe in the water. All the local women were pointing and laughing at them because they weren’t wearing necklaces or massingas. Who would have thought. So there you go – you learn something new everyday… literally everyday here. Oh it turns out the only thing that I probably shouldn’t wear is the anklet – people don’t do that except to put traditional medicine in. That’s what they thought it was.